© Copyright 2019 HairNewsNetwork.com All rights reserved. Welcome to Hair News Network, the premier destination where you will find all of your hairstyle and beauty needs whether you are a consumer or a professional. For the consumer HairNewsNetwork.com presents to you professional Hair Stylists, Barbers, Salons, Estheticians, Beauty Consultants, Cosmetology Academies and Beauty Schools, Bridal Specialists, Make Up Artists, Day Spa Owners, Luxury Resorts...and much more!...who have listed services or products either online or in your area of choice. For the professional Hair Stylist, Barber, Salon Owner, Esthetician, Beauty Consultant, Bridal Specialist, Make Up Artist, Day Spa Owner, Luxury Resorts...and more!...we have designed options for listings and banner advertising for you to maximize your exposure to the extent you desire, targeting the area and market you want to appeal to. 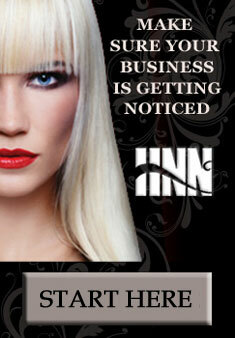 Whether you offer Hair Extensions in San Francisco, Hair Cuts in Los Angeles, Highlights and Color in New York, Weaves in San Francisco, Bridal Packages in Dallas, or any other location across the country or around the world we have a place for you to list and advertise and be seen here on Hair News Network. Are you a Corrective Color Artist? Perhaps you are an Expert in Precision Hair Cuts, or have excelled as a Barber in Fades and Hair Art At Hair News Network list your business services if you offer Wigs, Hats & Millinery, are a Cosmetology Academy, Beauty School, or are a Local Beauty Supply.